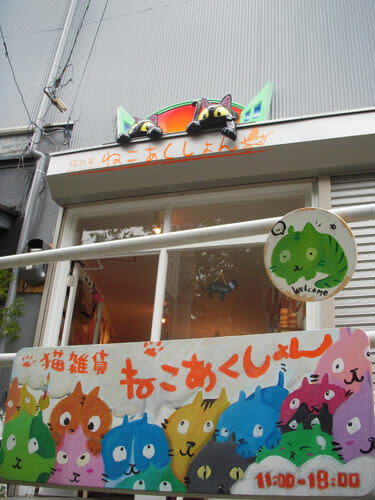 Cat’s variety store「ねこあくしょん（Neko Action）」is in at a sacred place for cats Yanesen area. “Neko Action” is located from JR Nippori station 5 minutes on foot. Two cats welcome you. 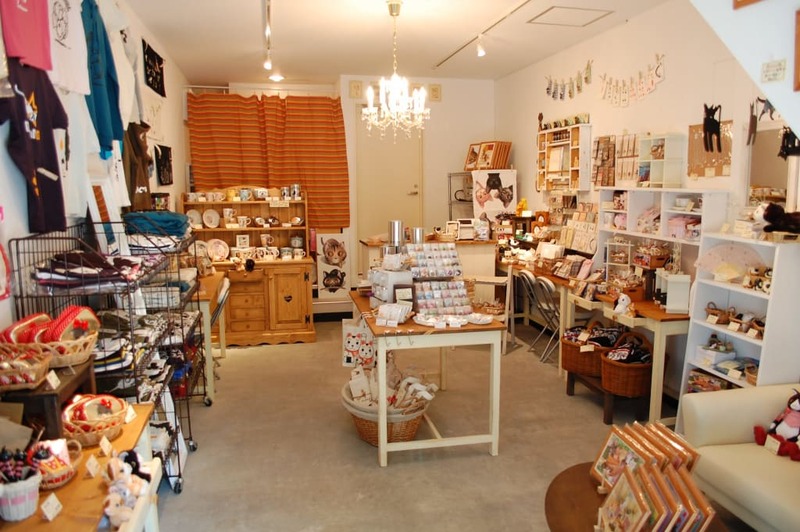 A comfortable place for cats lovers and pretty variety goods lovers. Cat’s variety store 「ねこあくしょん（Neko Action）」is open on the the 29th of April.よい肉球の日（Yoi Nikukyu no hi – Day for the Good Cat’s Foot Print)This day is not an official day. Goroawase kinenbi – change the reading way of number to other woods. For example 22nd of February (22-2) can be pronounced as “nyan nyan” (cat sound) Day of the Cat. 「ねこあくしょん（Neko Action）」is located from West Exit of JR Nippori station to walk up to the Gotenzaka-slope. You can have a nice experience by riding the 人力車（Jinrikisha. Jinrikisha is a human-powered transport, like a kind of rickshaw ）There are many temples to experience Japanese culture. At the entrance of the shop, 2 black cats doll welcome you. Inside the shop, mainly white interior nicely decorated with a pleasant atmosphere. You can buy original variety goods related to cats. 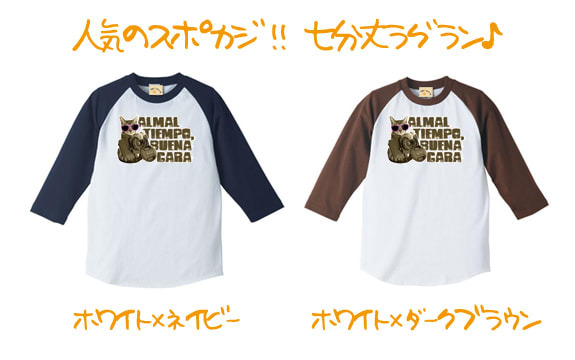 Neko T-shirts which have 3 types: Men’s, Women’s, Kids’. For Kid’s designs are unique with a touch of humor. For Men’s and Women’s t-shirts – stylish cat’s on. Simple design and use of color for adults. 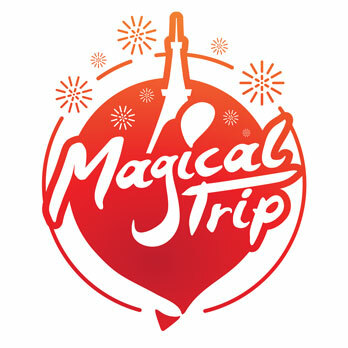 There are many kinds of souvenirs. A large variety of key holders and nail cutters with patterned images of cats or traditional Japanese lunchboxes with a cat print. 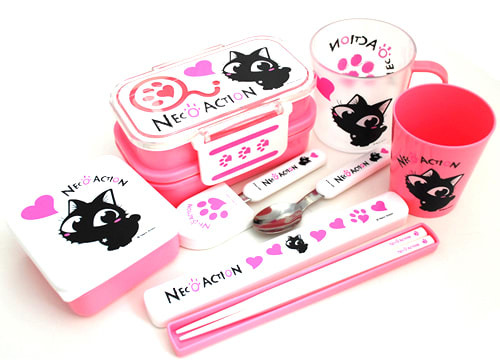 Souvenirs with the Black Cat , logo of “ねこあくしょん”（Neko Action) are original and cute.